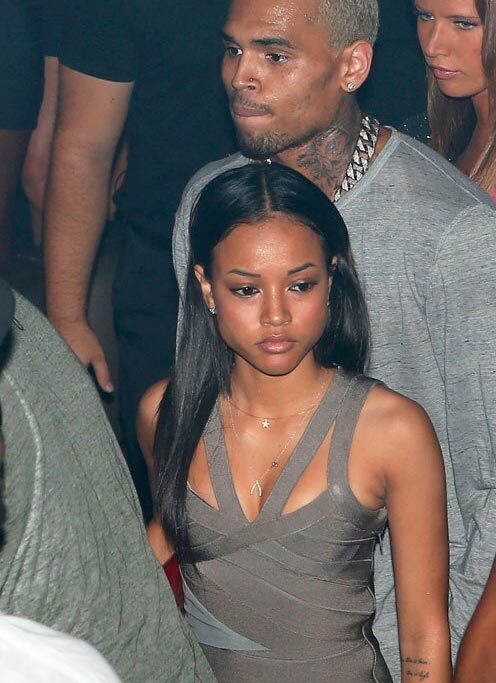 Are R&B singer Chris Brown and model Karrueche Tran officially back together after news of Rihanna and Chris Brown breaking up surfaced? According to a post by Hollywood Life, Chris Brown and Karrueche Tran may officially be boyfriend and girlfriend again, now that Rihanna is supposedly out of the picture. Karrueche Tran who was recently spotted in the teeny two-piece bikini seen in the photo flaunting her incredible body on Saturday (June 15) in Miami with some mystery man, has been spending a lot of time with Chris Brown since he split with Rihanna.